In the ‘season’ following the Queen’s Coronation, 1953/54, undoubtedly the best football team in Britain were Wolverhampton Wanderers, from the ‘Black Country’ in the English Midlands. They were champions of the English First Division, the original name of what is now known as ‘the Premiership’ and they had beaten Glasgow Celtic in a ‘floodlit friendly’ at their home stadium, ‘Molineux’. Although this was the first time they had won the Football League Championship since they had been founder members in 1888/9, in previous ten seasons, excluding the war break, they had finished second three times, third twice, had two other placings in the top six, and had also won the FA (Football Association) Cup. They had a deserved reputation as a fast-attacking and well-disciplined team of tremendous athletes. 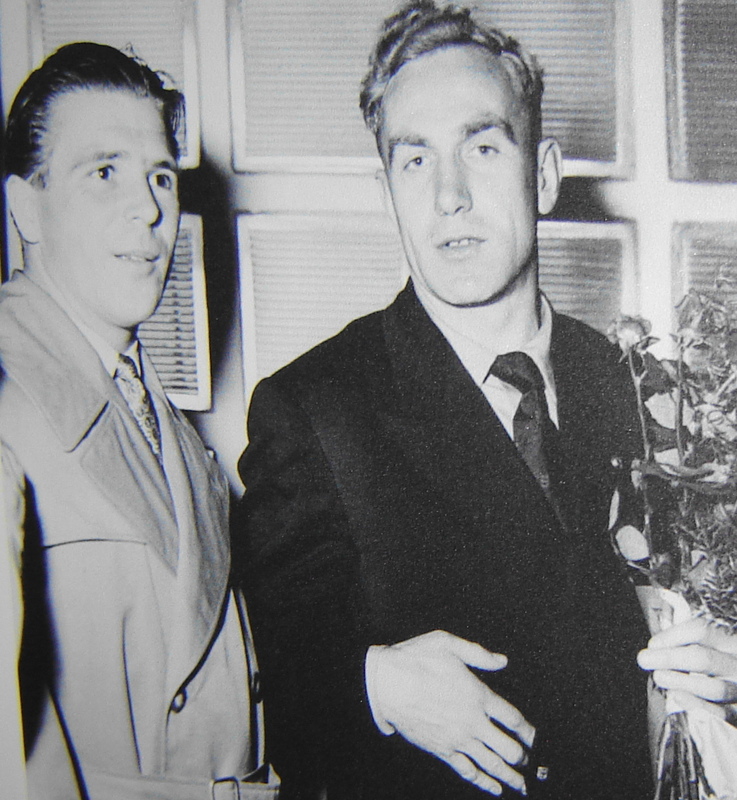 In the 1954 World Cup in Switzerland, the Wolves captain Billy Wright also captained England, and two other players scored against the host team in their 2-0 victory, before the team lost to Uruguay in the quarter-finals, the team which the Hungarians beat in the semi-final to go through to the ill-fated 3-2 defeat in the final against West Germany. With their emphatic 6-3 win against England in 1953 at Wembley, Hungary had become the first team from outside the British Isles to defeat England on home soil, and they had followed this up with a 7-1 humiliation in Budapest before the World Cup. Both these defeats were still fresh in the minds of English fans when, in December 1954, the ‘Mighty Magyar’ club team of the Hungarian Army, ‘Honved’, arrived in Wolverhampton. 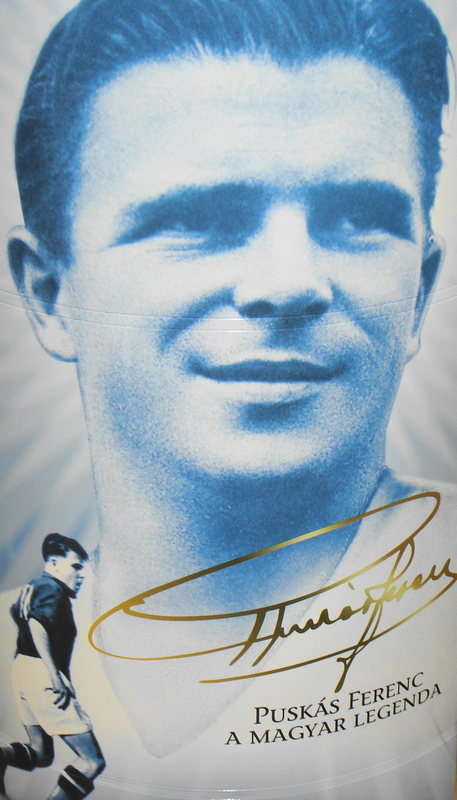 Their team contained many stars from the national, ‘Golden team’, including the legendary Lieutenant-Colonel Ferenc Puskás and his well-drilled fellow-soldiers, Bozsik, Kocsis, Grosics, Lorant, Czibor and Budai. Kocsis had been the leading scorer in the World Cup, so, following their own sensational win over Moscow Spartak a month earlier, the ‘Wolves’ were eager to welcome the tormentors of England to Molineux. The game was played under the new floodlights on a Monday night, 13th December, with 55,000 cheering fans watching at the ground and many more on the new phenomenon of TV. The BBC broadcast the game live, which pleased the National Servicemen who were allowed to watch it in their canteens, as well as on the radio, to which millions more tuned in, as not many people had acquired TV sets at this time. Just as they had twice led out their national teams in 1953/4, Billy Wright and Ferenc Puskás were again side-by-side. The visitors immediately began to play with fantastic ball-control and speed of passing. By half-time they were 2-0 up and in full control, their precision passing and speed of attack drawing gasps of appreciation from the crowd. 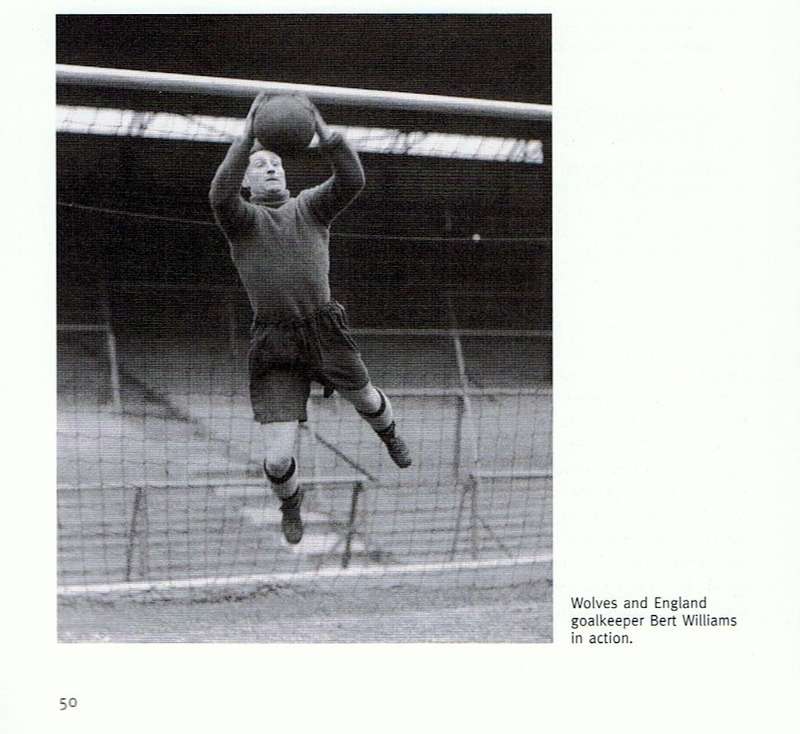 The first goal came from a pin-point Puskás free kick which found the head of Kocsis and the ball flew past Bert Williams in the Wolves goal like a bullet. This was followed up by a second from the speedy winger, Machos, who was put through the Wolves defence by Kocsis. That was in the first quarter-hour! Williams pulled off a string of saves to keep the score down to two at the interval. As the teams left the field, the crowd rose to salute the Hungarian artistry, but were worried that the home team might be humiliated in the second half, just as England had been at Wembley year earlier. In the second half, however, Wolves called upon all their reserves of fighting spirit and energy. They scored a penalty soon after the restart, and with fifteen minutes left, and the skilful Hungarians tiring on a very muddy pitch, Swinbourne scored twice to win the game 3-2. The crowd went wild with joy on a night on which it became good to be an English football fan once more. They were singing all the way home on the bus, and there were great celebrations in the canteens where the National Servicemen were watching. ‘Wolves are champions of the world’ was one of the headlines in the national newspapers the next morning. However, if this was seen a ‘revenge’ for the ‘dents’ in national pride which the defeats of the previous season had inflicted, this was a friendly, since the European Champions’ Cup had not yet come into being. For the great Magyar teams of that season, the events of October/November 1956 brought a premature end to their glory days. They were touring at the time of the conflict, and many of the players decided against returning to their homeland, preferring instead to use their skills in western Europe. 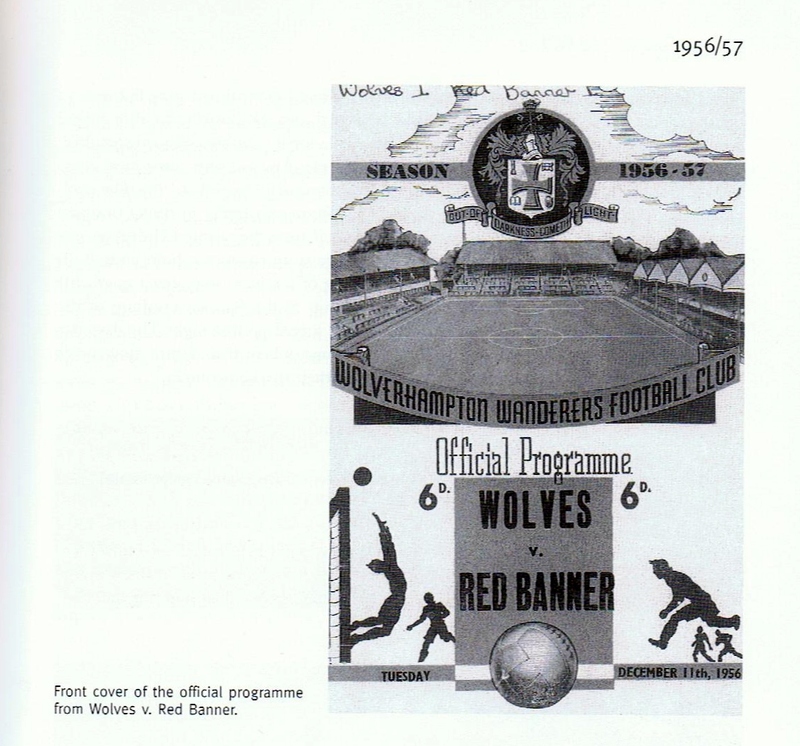 Almost exactly two years to the day after the match with Honved, on 11th December 1956, Wolves entertained ‘Red Banner’ or MTK Budapest at Molineux for another floodlit friendly at Molineux. Although not as great a match in footballing terms, the game was, if anything, even more significant. It was held as a benefit match and raised what was then a huge sum of £2,312.3s.0d., which was donated to the Hungarian Relief Fund. At the pre-match banquet, the Hungarians, who had expressed their wish to be known by their original name of MTK, rather than ‘Red Banner’, had promised to play the very best football they could in honour of their gracious hosts. Responding, the Wolves Chairman told his guests that the motto of both the town of Wolverhampton and its football club was ‘out of darkness comes light’ and that he hoped that very soon that would be the way in their native land. The MTK team was packed with Hungarian internationals, three of whom had played in the humiliating victories over England two seasons earlier. They became only the second team to escape floodlit defeat at Wolves’ Molineux lair. The home team were not exactly howling at the Hungarians’ gates, however, and ‘the Molineux Murmur’ soon began as the crowd senses that they were holding something back. To be fair, they could not break down the visitors’ defensive system, one of the coolest under pressure ever seen at Molineux. The Magyars took the lead when Palotás whipped the ball past the diving Bert Williams after some world-class work by centre-forward Hidegkúti. Wolves drew level from a Hooper corner, which was palmed away by Veres, only as far as Neil who had drifted outside the goal area and was unmarked. His smartly-hit shot passed through the ruck of players and beat Veres on the line. The cool, calculating football of MTK sometimes became over-complicated. They were all too frequently guilty of playing one pass too many. At half-time, the talented Hidegkúti was replaced by Karasz. After that, the game was far from dull, with both goalkeepers acquitting themselves well by making strings of acrobatic saves. The solemnity of the occasion, set against the Soviet crushing of the Hungarian Uprising, meant that the fare served up on the night was not as tasty as that in the Honved game two years earlier. The day after the match, the Hungarians made their way back to Vienna, unsure of their future movements, given the course of events in their stricken country. 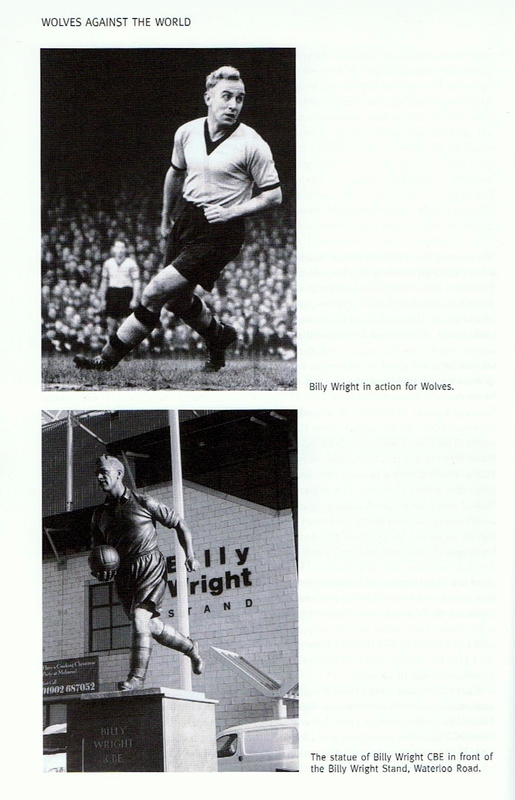 John Shipley, Wolves Against the World: European Nights, 1954-1984. MEANINGS: Find these words and phrases in the text. Rather than trying to translate them, try to explain their meanings in English. Why might Wolves have been ’holding something back’ compared with the way they had played against Roumania CCA, (they had beaten them 5-0 in October)? What two other reasons are given for MTK leading at half-time? How and why were MTK seen as being ’too clever’ by the Wolves fans? What three other reasons are given to explain why, in the second-half, the game was less exciting, though ’not exactly dull’. Why was the Hungarian team unsure about ’their future movements’ after the match? This is one of the most important days in the Buddhist Calendar which takes place at full moon in the month of ‘Vesakha‘, May in the Christian calendar. It celebrates the birth and death day of Buddha as well as what is known as his ‘enlightenment’. 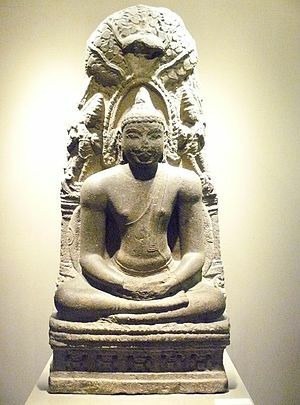 Buddha was born in 560 B.C., the son of a ruler of Sakha, a small kingdom in northern India. When his mother, Queen Mahamaya, knew that she was to have this baby, she made the customary journey to her parents’ home, travelling in a decorated palanquin, a covered litter carried by four bearers. Stopping to rest in the fuller shade of a Sala tree where she had the baby there and then and, as there was little point in going further, she went back to Sakha with her princely newborn son. He was called Siddhartha, meaning ‘wish fulfilled’, born on the first day of the full moon. Although the ‘Hindu’ religion did not formally exist at this time, the caste system was already well founded with Brahmins as priests and tutors of religion. Kshatriyas were the warrior ruling class, Vaisyas the merchants, and Sudras the labourers and servants. Kala Devala, a wise man, was the fist to prophesy that the boy would become an exceptional, ‘enlightened’ prince, weeping at the thought that he himself would not be alive to see his prophecy realised. Brahmins who examined the boy declared that he would, in due course, see four signs which would impel him to renounce his home and the world and go out to seek enlightenment. His mother died when he was only seven days old, but he was cared for by an aunt who also married his father. There are many stories about the young prince’s compassion and his search for answers to the many questions about human existence and experience. In his own life, he exercised self-denial and meditation. From an early age, the King, his father was concerned about losing him, and asked the Brahmins to tell him the four signs which would change his son’s life. They said he would give up his princely life and become a religious leader, or ‘Buddha’ if he saw an old man, a sick man, a dead man, and finally an ascetic or hermit, someone who had given up all worldly things in complete self-denial. So the king tried to keep Siddhartha away from all signs of age, illness, death and poverty. However, this plan failed and the prince was appalled to see age, illness and death, but was als most impressed with the serenity of the one he met who had given up all material things in life in order to meditate and seek answers to life’s complex questions through simple prayer and quiet self-contemplation. By this time Siddhartha had married a princess in accordance with his father’s wishes and she had given birth to a son, but the prince only saw this as further binding him to wordly things. He made up his mind to leave this life behind and, without even seeing his son and taking only his horse and a servant, he set off for the frontier of his homeland, the river Anoma. There he cut off his long hair with his sword, exchanged his royal royal clothing for the orange robe of a beggar and, taking up a begging bowl, left his servant and horse. It’s said that the horse later died of a broken heart, such was his loyalty to his master. 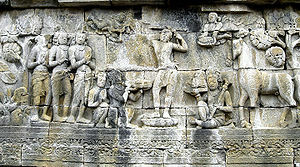 It was at this point that Siddhartha gave up his princely name and from then onwards went by his family name, Gautama. He joined five other ascetics and the group sought out a guru, Alara Kalama, who quickly realised that Gautama had the ability to attain to the deeper levels of spirituality through meditation. The group set out to found their own hermitage. 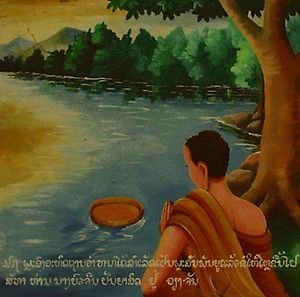 Gautama punished his own body in order to achieve deeper spirituality, reducing his food to plant roots and leaves, holding his breath for long periods, staying out in the hot summer sun, and taking ice baths in winter. After six years of this rigorous regime he began to eat again, regaining his former strength and health. Then came his ‘enlightenment’. Sitting cross-legged at the foot of the Bodhi tree he went into a trance from which he emerged with the knowledge of former existences, the power to see passing away and rebirth, and full knowledge of all evil. He spent a similar period in meditation as Jesus spent in the wilderness, emerging as the full moon of Vesakha was setting. Following this ‘epiphany’, he became known as ‘The Fully Enlightened One’, or Buddha, at thirty-five years of age. His teaching ministry lasted another forty-five years and he died an ordinary death in an insignificant place, Kusinara. His death also occured on the full moon of Vesakha. After his cremation, his ashes were distributed for his followers to venerate and these continue to provide a means of communication between the devotee and the Buddha. Very little has been written about Buddhist festivals since most are very simple, local, and conducted in local languages. The festival of Vesakha (Wesak being the western corruption of the name) brings Buddhists together in the Vihara, or Temple, where they are led by Priests or Lamas in meditation and discourses. There are no domestic ceremonies, although families come together in the Temple for blessings from the monks or ‘bhikkus’ when a child is born. After the civil registration of a wedding, Buddhists go to the Temple for a religious ceremony, and elaborate rituals are followed in funerals and memorial services.